The Olympus is a unique fiberglass pool shape that sports a very nifty attached spa! This fiberglass pool is perfect for a family or multiple people that want to enjoy the full functionality of their fiberglass pool. We envision this being perfect for your next backyard party. Fire up the hot tub and relax as the stars appear and enjoy it with your fresh glass of sangria or a poolside drink! We really enjoy the Olympus fiberglass pool and are glad that we finally get to present it along with our wide variety of pool shapes! This swimming pool presents such a fun and unique layout that is also very functional. Our attached spa presents a wonderful place for family and friends to relax and enjoy a warm dip during the cooler months of winter (not that far away now). We encourage all of our Olympus pool owners to pair this unique pool shape with a premier Mastertemp Pool Heater by Pentair Pool Systems. Secondly, you can even pair your Mastertemp pool heater with your iPhone or Android device for a complete palm-of-your-hand experience. 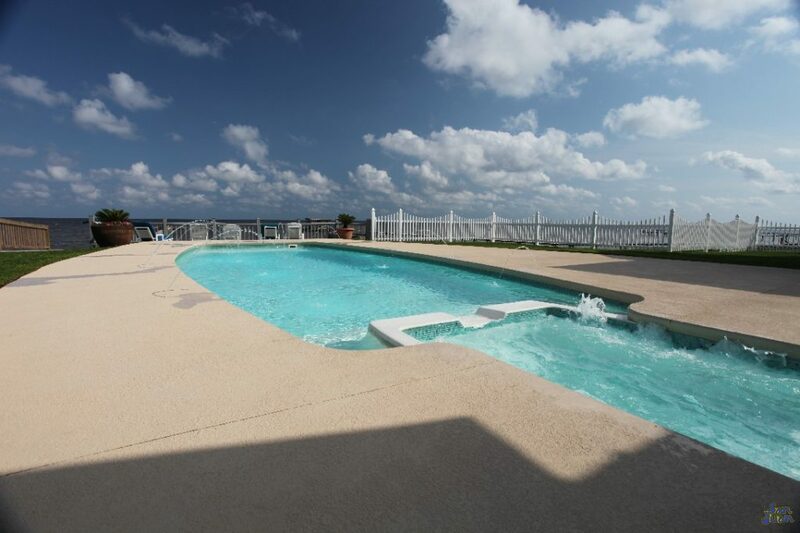 You will be the master of your own domain with our technology and gorgeous Olympus pool shape! 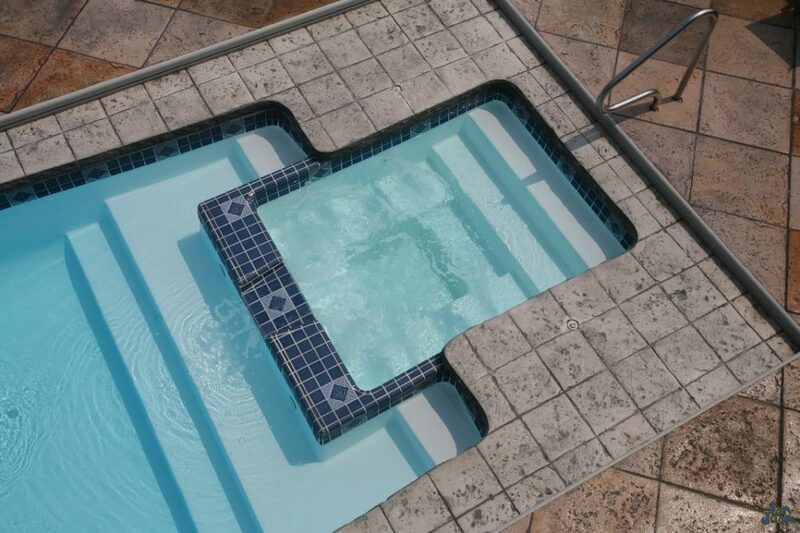 You can see the Olympus fiberglass pool outfitted with a tile liner across the rim of attached spa. There are many ways to spruce up this section of your fiberglass pool shell. We’ll just leave the creativity up to you! The Olympus is a fun fiberglass pool shape because it offer a wide variety of ways to dress it up or dress it down. As you can see from the image above, our attached Spa can be dressed up with a nice tile border or left exposed for a more natural look. We also recommend utilizing some unique outdoor furniture and backyard accessories. Anything that you can add to make this outdoor living space more your own is exactly what we are going for! After all, our objective is to help you bring your new outdoor living space to life. It’s meant to be enjoyed and provide a perfect place for friends to gather together to make many new memories for your home! This is a perfect example of what we mean when we say “Outdoor Living Space.” Our definition is brilliantly demonstrated by this gorgeous example of an Olympus fiberglass pool – paired perfectly with outdoor accessories. This image shows a nice brick paver deck with a raised porch, nice outdoor furniture and natural landscaping to finish it off. 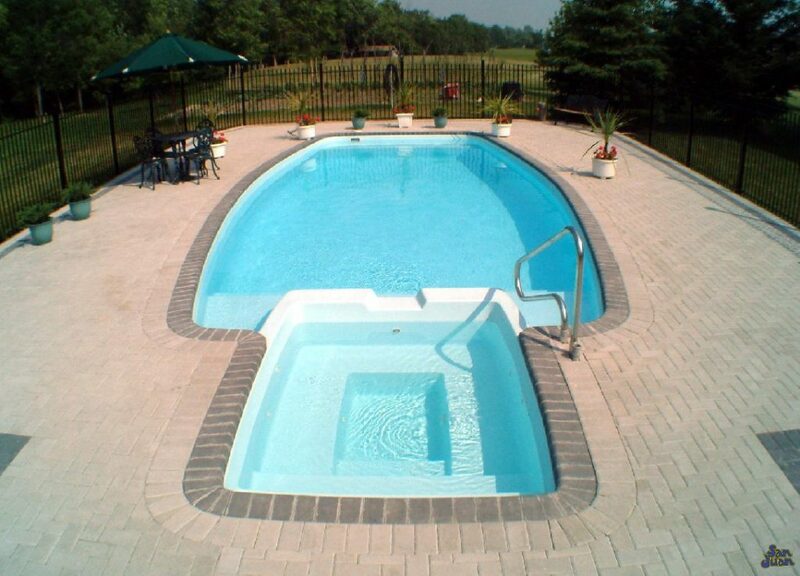 This Olympus fiberglass pool looks very natural and serene – a perfect fit for this beautiful home! At Fiberglass Pool Guyz, we are always looking for new ways to be bigger, better and more fun! It’s part of what makes us unique compared to any other pool builder in Dallas Fort Worth! Ahhh… Imagine if this was your view and you got to wake up to it everyday. It’s definitely breathtaking and is totally achievable! Most of our clients never knew that pool ownership was possible for them until they met us! 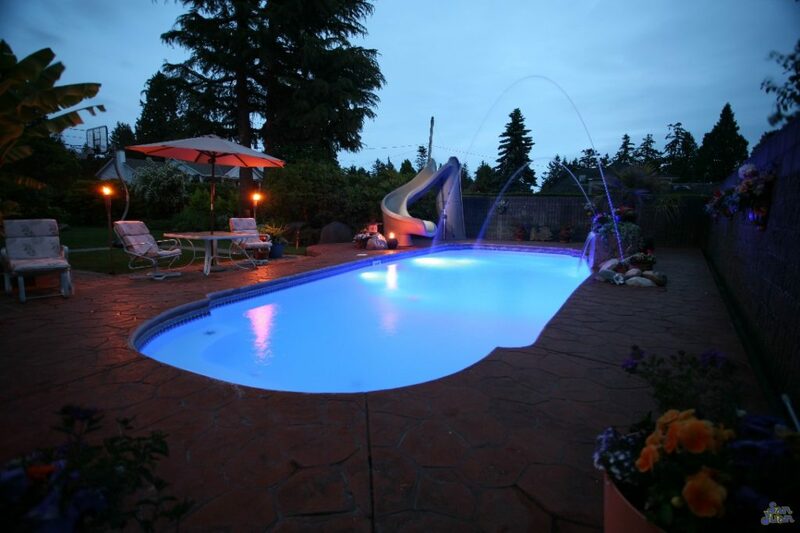 We are here to make your dreams a reality and help you achieve your bucket list goal of becoming a pool owner! This leads us into our main conversation for today. Fiberglass Pool Guyz is a custom fiberglass pool builder located in Dallas Fort Worth. 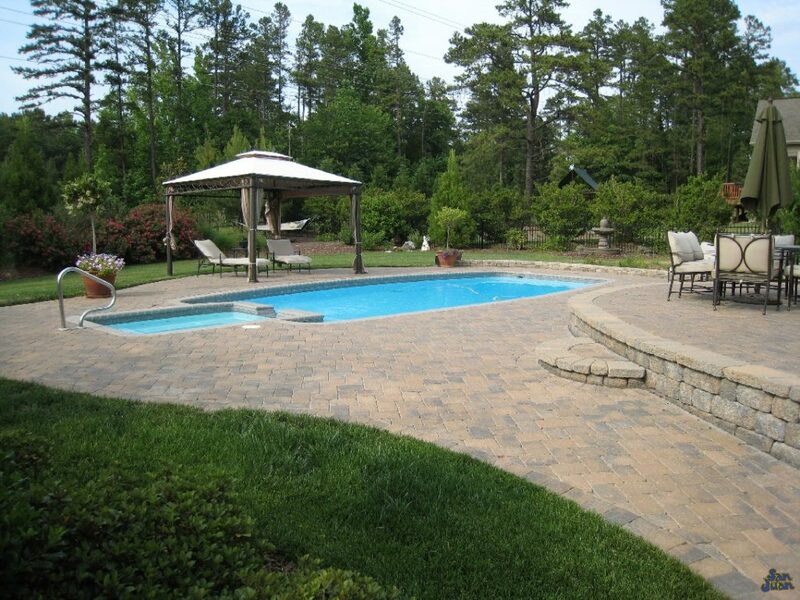 We work diligently to provide all of our customers with over 100+ Pool & Spa Shapes that work for them and their homes. Our goal here is simple: help you pick the swimming pool that works best for you and your backyard. This is your time to be creative, have fun and live a little. Just imagine trying to create the perfect retreat for your home. What do you envision? What do you find relaxing? Ask yourself, what would make you want to throw on your swimsuit and enjoy an entire day outside? Now picture that vision and make it a reality. We have all of the tools necessary to make that pool ownership dream come true. The first step you need to take is a simple one – give us a call and let us work our pool magic!